Simon Hirsbrunner, media researcher from University Siegen, Germany, visited The Apocalypse Project: House of Futures at the Institute for the Future and sent us these lovely photos. Many thanks for coming! 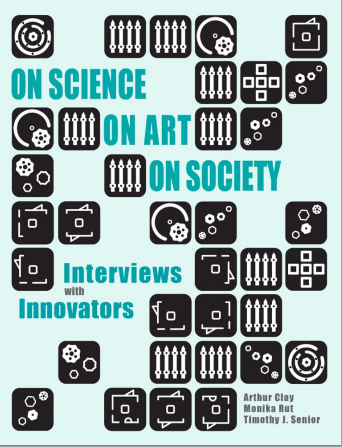 Digital Art Weeks International, whose exhibition “Hybrid Highlights” was held in Seoul last year, just published their free book, On Science, On Art, On Society: Interviews with Innovators”. Edited by Arthur Clay, Monika Rut, and Timothy J. Senior, it features a collection of twenty-five interviews from practitioners originating in diverse fields and opposing outwardly. Divided into three separate chapters, the authors illustrate to the reader models of hybridity that can validate convergence as a method for nurturing innovation across disciplines. Readers interested in innovation and the processes that drive it, will find that each of the chapters of the book addresses a particular area of ​​knowledge and that each of the interviews offers its own perspective on the subject at hand as well as examples that could offer theory into practice. I was one of the interviewees in this interesting project. I’m in very cool and amazing company and it’s quite intimidating to be with them, such as Denisa Kera, Davide Angheleddu, Ruedi Stoop, etc. Download it here from iTunes now! Interviews with Innovators: As an artist, your work primarily explores human perception and its relationship to memory, creativity, and play. In a way, your story as an artist begins with studying molecular biology and biotechnology at the University of the Philippines. What inspired you to move into the arts, and what did you take with you from the sciences? Catherine Young: I come from a family of artists and doctors. Although my grandfather was a photographer, my mom was a genetics professor so I grew up with a lot of Punnett Squares and DNA lessons. I love science and initially wanted to do only lab-based research, but I realized that I didn’t want to be just cooped up in the lab – there were so many other ways I wanted to pursue my ideas. I moved to New York City at 21 and just saw the endless possibilities available instead of the stifling path I had ahead of me. I moved (or more specifically, “ran away”) to Barcelona and rediscovered art, but also discovered for the first time how art and science could work together. From there I chose to study interaction design for my MFA in the US (which was a relatively new field at the time) because I felt it was a discipline where art and science could coex- ist and be effectively communicated to others. IWI: You have worked in a variety of traditional forms including draw- ing and painting, but also with less-traditional media such as dirt or soil. What role has artistic and scientific practices played in helping you break away from traditional formats? CY: When two things collide, new relationships can be formed. For exam- ple, visual art is usually composed of traditional fields such as painting or sculpture—works that the public shouldn’t touch else you destroy the work. But this doesn’t hold true with interactive pieces where the work ￼has to be touched to be experienced. The convergence of art and science leads to new ways to offer stories for people to explore, and unique opportunities for empathy. Also, advancements in science along with new ways of expression in art are leading to greater diversity in the type of work that can be done. For instance, there’s been a relatively recent interest in art investigating smell because of research that shows that olfaction is linked to memory. So if I were an artist interested in memory, this sense is now a channel for me to investigate that theme. Science can inform art and vice versa; each enriches the other. I don’t really look at my projects and say, “Ok, what is the ‘art’ and what is the ‘science’ here?” I start with the questions I want to explore, and then test those approaches that I feel will best communicate the ideas I want to share with people. My different experience of artistic and scien- tific fields has exposed me to a lot of different ways for investigating top- ics and then presenting them to a wider audience. Science for me involves a lot of data collection, something which I often do in my current work. Artistic methods help me explore the many ways in which I can show that work. 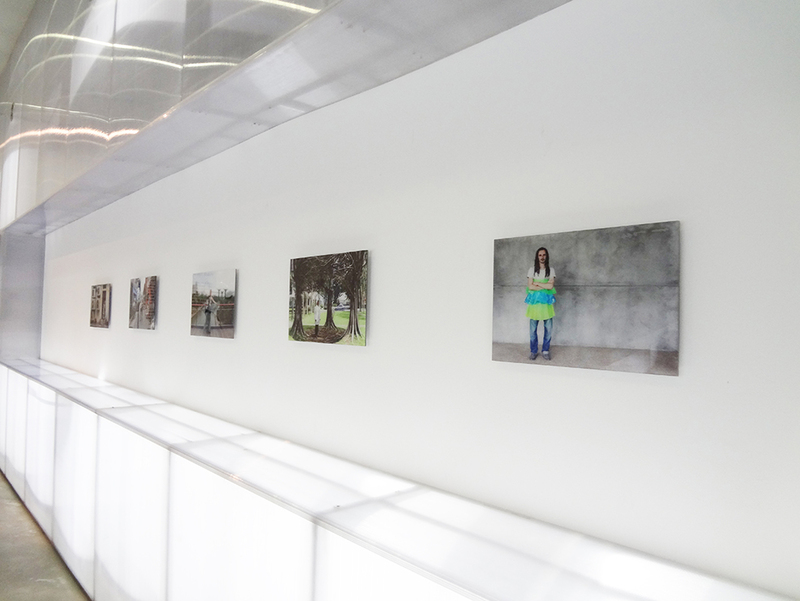 Each exhibition of a project is also like an experiment to me, so my work continues as I check how people respond to it. Person- ally, I don’t think there’s much of a difference between art and science because both ask similar questions. However, there is a great difference in the professions of art and science because of the systems we have created to practice them, such as the galleries, the festivals, the labs, academia, industry, and so on. IWI: “Disclosure of knowledge” or “lifting of the veil” is how you describe your Apocalypse Project. Here you are trying to physically animate an in- quiry made concerning environmental futures. Can you tell us about this research in general and what the process was that transformed an en- quiry into an artwork? CY: I started The Apocalypse Project during my participation at the 2013 ArtScience Residency Program in partnership with ArtScience Museum at ￼Marina Bay Sands, Tembusu College National University of Singapore, and the Singapore-ETH Zurich Future Cities Laboratory (FCL). I was talking to the scientists in FCL who were doing very interesting research on climate change and sustainability. But while their work was important, I saw a gap between their research and the public understanding of climate change. In parallel to this, I was doing workshops with high school and college students in Singapore, asking them questions about what climate change looked like to them, what superpowers they wished they had to combat climate change, and what they would wear to a climate-change apocalypse. The last question resonated really well with the majority of the stu- dents, more so than my other questions. I realized that fashion is one thing that people can relate to – clothing is both a means of survival and a form of self-expression. This was the beginning of Climate Change Couture. I took the research of the FCL scientists and designed clothes and narratives that would fit a world that was uninhabitable, highlighting the problems that the research projects addressed. For the first collection, members of the FCL staff were the ones who modeled them and I think it was wonderful to see them outside the lab and being models. IWI: Besides showing the actual objects themselves, how else have you tried to communicate the fact that climate change is real and “the heat is on” as they say? CY: The projects are all about experience, so rather than just showing the clothes or the perfumes I developed, the visitors are invited to try on the clothes and smell the perfumes. In this way, they are able to place themselves in the story. 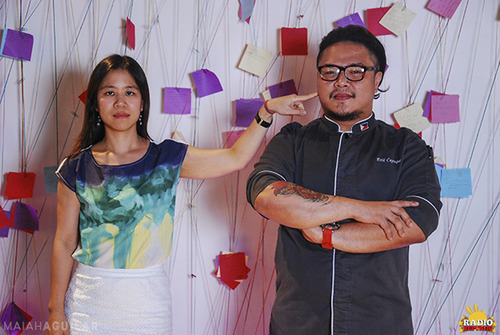 I also hold public events, such as Future Feast at The Mind Museum in Manila where I got to collaborate with chefs to think about dishes of the future. It was a real feast with local musicians per- forming, scientists explaining topics about climate change, the chefs talking to people about why things like worm meat and sea vegetables could be future sources of nutrition, and included activities for the whole fam￼ily. I think doing these inclusive and fun events reframes climate change from a doom-and-gloom political issue, meant to be discussed only by governments, to a human issue about creativity and resilience that everyone should act on. IWI: Some of the garments that you have put on exhibition connect traditional design culture with what we might call “a fashion of necessity”. Does the inclusion of traditional elements make the message clearer that climate change and cultural change are synonymous? CY: I think culture has always had to adapt to the environment. For example, the Barong Tagalog, which is a traditional dress for men in the Philip- pines, was designed to be lightweight because of the country’s tropical climate. I re-imagined it with a hoodie because of the unpredictable weather the country now has. When designing for a particular city, I like to research their traditional garments because the message resonates bet- ter with the audience if the visual imagery is familiar and they can relate to it. A lot of my projects deal with future loss, and so the audience has to imagine a world where some things are not available to satisfy the needs of their traditional practices. IWI: Which of the methods used to carry over your message have been the most effective in motivating and empowering people to become co- creators of a more tangible future? CY: I think it’s the fact that I do multiple projects, so I give people different ways to engage with environmental futures. If one doesn’t do it for them, another one might. Each project is also exhibited through multiple platforms and in multiple cities, and uses different types of media. Some people knew about the projects through the Internet, but for most peo- ple the work was more powerful when they saw and experienced them in person. From what I’ve observed, I think the work becomes most effec- tive when people are able to share their experience (and the memories that these projects evoke) with other people. This allows conversation about climate change go beyond the exhibition or the festival and into ￼the people’s normal everyday lives. Another is that I target a wide audience. I’m particularly interested in the reactions of young children, because they have the most honest reactions. They will also bear the worst consequences of climate change, so I think they need to learn about it and how to take care of the environment as soon as possible. IWI: Knowing that the research you have draw upon is the intellectual property of an institution with clear guidelines on representation, do you feel that there are any dangers of misrepresenting such research if presented through art objects and in a museum context? CY: Yes, which is why I’m extremely careful about collaborations. There are a lot of conversations in the background, with me talking to my col- laborators (be it scientists, chefs, artists, students, companies, etc.) about what the project is, why I’m doing it, what possibilities could follow once we exhibit the work in public, as well as an opportunity to say no. I send out updates from time to time, and I update all my websites regu- larly so everyone knows what I’m up to. I’ve been on fellowships and grants for a long time, so I’m used to accountability and making sure eve- ryone is on the same page so that we’re all happy. For the information and images I have to send out to the press, or that I publish online, I always make sure everyone involved has reviewed it and has no issues with it. I think life is really short and there is no sense in prolonging suf- fering, so if I or the other person is unhappy, and all possible solutions have been exhausted, I probably will end the collaboration and just change the direction of the project. That said, though, in my experience, if the finished project is successful – and I define “success” here as when a project gains an audience, when the message about climate change is effectively transmitted to another person, and when the collaboration was pleasant and we want to do it again – everybody wins: the artist, the collaborator, the space it was exhibited in, the audience who has had a positive experience. If the project fails at any point, such as if a blogger completely misinterprets it, it’s only me that has to bear it, and I try to rectify it by reaching out to the writer with more information and an invitation to get in touch. Either the writer updates his article or I’ll be working on another project to further make the point. The public events are, to me, critical, because I usually have attendants (I call them The Apocalypse Squad) who are trained to talk about the project and assist the audience if needed. The online presence of the projects is also important because that’s where I put all the information. I’ll get the occasional troll in the exhibition or on the Internet – usually climate change deniers – but I just ignore them. ￼Catherine Young is an artist, scientist, designer, explorer, and writer whose work primarily explores human perception and its relationships to memory, creativity, and play. Her work combines art and science to create stories, objects, and experiences that facilitate wonder and human connection. Her first solo exhibition was in a science museum. She re- ceived her degree in molecular biology and biotechnology from Manila, fine art education from Barcelona, and has an MFA in Interaction Design from the School of Visual Arts in New York as a Fulbright scholar. 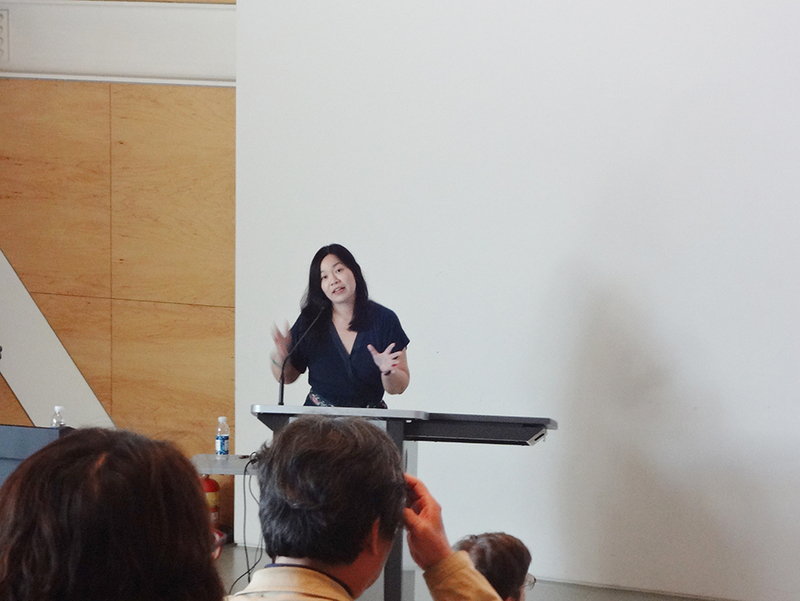 Previously, she was on residencies and fellowships in New York, Barcelona, Seoul, Singapore, and Manila. 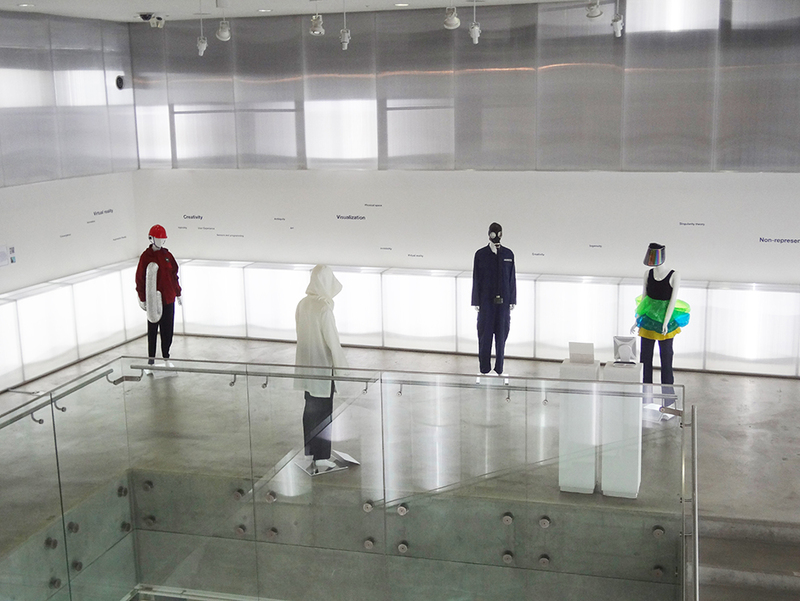 October 2014, Seoul—The Apocalypse Project’s Climate Change Couture is now on view at Seoul National University Museum of Art. 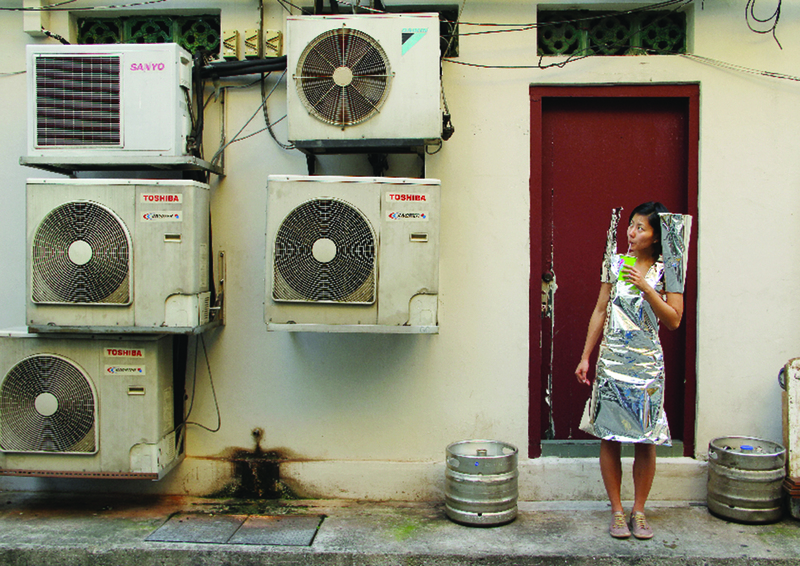 My piece is on the second floor and features six garments from Climate Change Couture’s Singapore, Manila, and Seoul collections, as well as six photos from the Singapore collection. 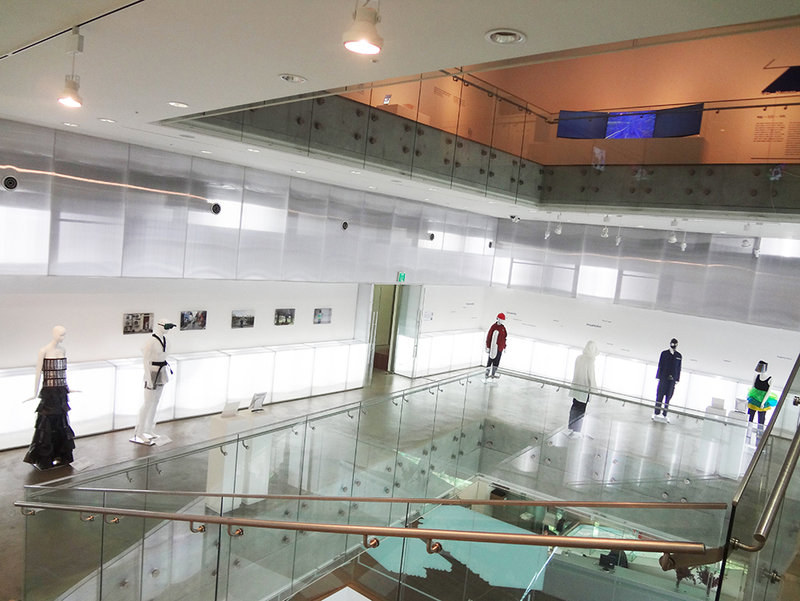 Curated by Arthur Clay, founder and artistic director of Digital Art Weeks International, and Jeungmin Noe, senior curator at Seoul National University Museum of Art, the exhibition blurs the boundaries between art and science and enlarges the possibilities of interdisciplinary collaborations. 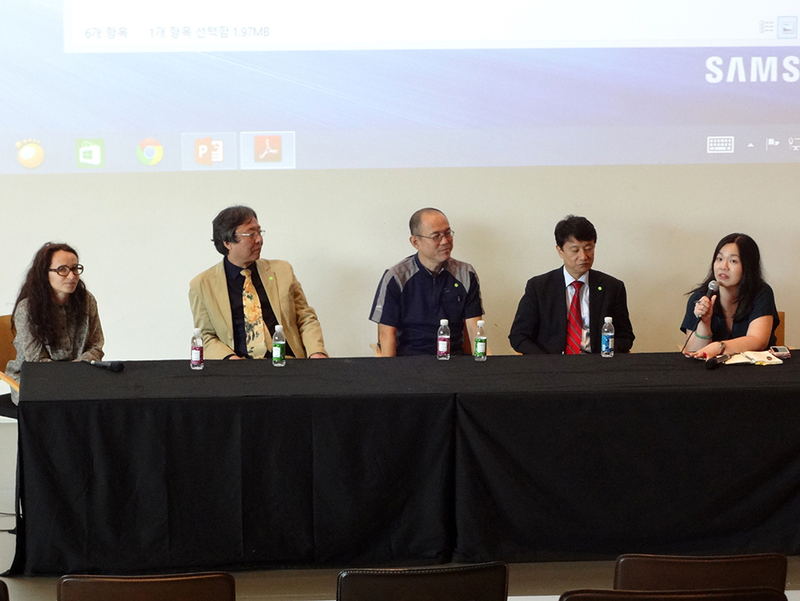 11 October 2014, Seoul—I was part of a panel on Science Day at the Innovation Forum of Digital Art Weeks held at Seoul National University Museum of Art. Dr. Denisa Kera of Swiss Hacketeria and National University of Singapore gave the keynote speech. My fellow panelists included Dr. Tae-Sub Chung of Yonsei Medical School, Dr. Min Suk Chung of Ajou University School of Medicine, and Dr. Tai Hyun Park of the Advanced Institute of Convergence Technology of Seoul National University. The panel was moderated by Dr. Sunghoon Kim, Director of the Integrated Bioscience and Biotechnology Institute at Seoul National University. 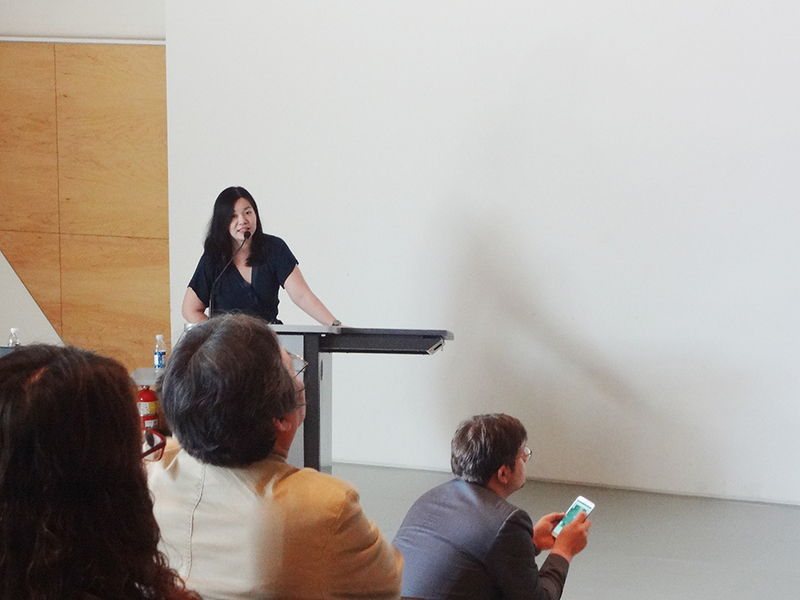 The Innovation Forum is a three-day symposium spread out during Digital Art Weeks Seoul, which runs until December. Science Day explores common themes on the crossroads between Neuroscience and Aesthetics in the arts and Bioinformatics and Biohacking art movement, bringing in and raising questions about the creative process, scientific inquiry and realm of empirical aesthetics. The panel I was on, “Convergence in Arts and Sciences”, raised questions around convergence of science and art and how they have been inseparable. 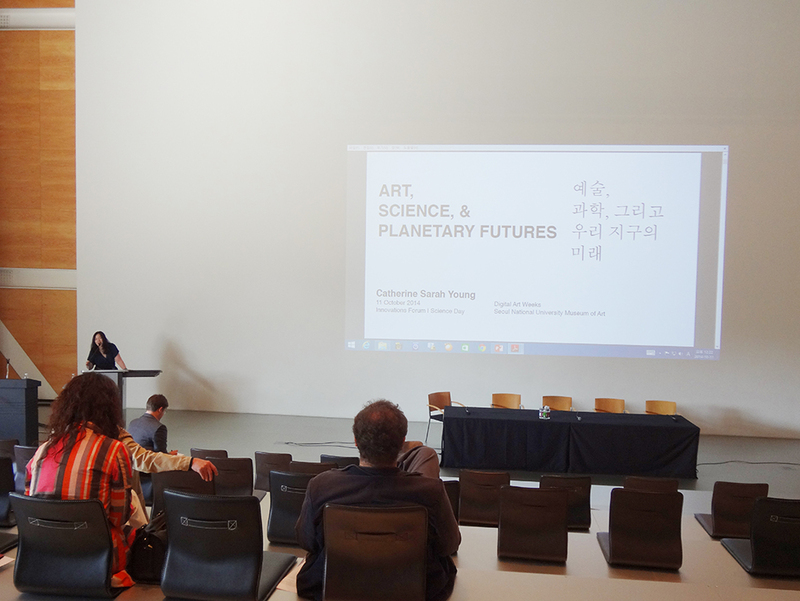 I gave a talk on “Art, Science, and Planetary Futures”, chronicling my experiences in science and art through the different residencies and fellowships I’ve had in the world. I spoke about how art and science converged to give people new experiences, to empower audiences, and to break traditional formats. It was great to see familiar faces in the audience—from fellow alumni of the School of Visual Arts, the staff at the National Art Studio of Korea (now known as the MMCA Residency Changdong), and the Future Cities Laboratory. 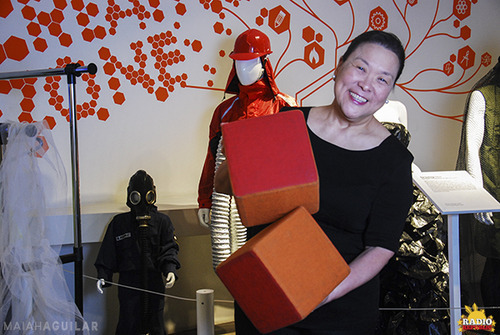 Even Denisa is a familiar face—she moderated our panel at ArtScience Museum in Marina Bay Sands last year. It was like going to a big family reunion. Thanks, guys! Thanks to DAW International for the invitation, SNU MoA for the lovely venue and staff, and Kate Kirkpatrick for the photos. Here are some photos from The Ephemeral Marvels Perfume Store’s exhibit at the Open City / Art City Festival last October 4, co-organized the Institute for the Future and Yerba Buena Center for the Arts. Many thanks and huge congratulations to my friend Zoe Bezpalko (who also modeled one of the Climate Change Couture garments last year and is shown in the above photo wearing an Apocalypse Suit), for handling this single-handedly. I’m here in Seoul for the moment for some exhibitions and a panel, so I’m very grateful for my friends and collaborators from all over the world who can take over when I cannot physically be there. Erik enjoys exploring ingredients, cooking techniques and procedures and makes his own creation inspired by them. He is known for putting his signature touches to the dishes that he creates, and for his modern approach in traditional dishes. He was exposed to food and cooking at a very young age. Raised under great influences of traditional Ilongo and Bulacan cooking, as a kid he cooked his recreations. During his elementary school days he was able to create several interesting dishes like gumamela (hibiscus) chips, Candied Calamansi Peel, Tomato Jam, Homemade Cured Ham and Bacon to name a few. He pursued his interest in cooking and took up Bachelor of Science in Hotel and Restaurant Management and trained under a Belgian chef at The Old Manila in The Peninsula Hotel. He headed the School of International Hospitality Management of one university in Antipolo, Rizal for 4 years. He is accredited trainer of Commercial Cooking and Baking of Technical Education and Skills Development Authority (TESDA). He finished his Masters in Business Administration and pursued his culinary education at Centre International Culinaire and Culinary Institute of Asia. He is now the Chef and the Manager of Eat. at V Hotel in Malate, Manila. True passion is never extinguished. JV Claudette Dy had always been fond of creating food—cooking, baking, as well as being a resident food critic. After graduating with a degree in management from De La Salle University and having kids, she realized this so she pursued the knowledge at Enderun. Balancing raising kids, a day job, and a full course load at a prestigious culinary school was definitely a challenge which she surpassed and used well. She now channels this passion and love for food in her cafe at a boutique hotel in Malate, Manila. Ian Carandang is the owner and head Chef of Sebastian’s ice Cream, the country’s premiere artisanal ice cream brand in Manila. Opening Sebastian’s in 2006, he pursues the dual ethos of excellence and creativity, believing them to not be mutually exclusive. This self-taught sorbetero is a pioneer in artisanal ice cream and constantly strives to elevate, innovate, and discover what can be done within the realm of ice cream and frozen desserts. Among the dishes he has been recognized for are the Champorado Kakanin Ice Cream with Candied Dilis, Green Mango Sorbet with warm sweetened Bagoong, and “Once In a Blue Moon”, his Blue Cheese Ice Cream with Palawan honey and walnuts. Chef Rosauro del Rosario is a native of Pampanga, one of the Philippines’ culinary centers. He earned his bachelor’s degree in Hotel and Restaurant Administration from the University of the Philippines. He first worked in several hotels in Manila before moving to Nice, France where he worked with one star Michelin chef Christian Plumail of Restaurant l’univers. He then moved to Paris and worked with three star Michelin Chef Jacque Divellec of Le Divellec Restaurant. Shanghai later lured Sau, where he opened the Mediterranean-themed restaurant Luna. Afterwards, he moved to Singapore to be a chef at Raffles Hotels and Resorts. 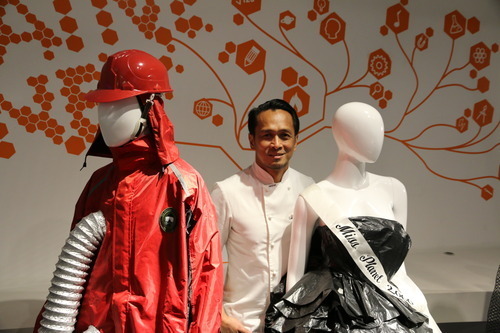 Back in Manila, Sau has opened several restaurants: the popular Museum Café, Chelsea Market and Café, and Le Bistro Vert, a sustainable organic restaurant that helps local farmers, with his partners. Le Bistro Vert earned recognition from MBKS Awards as Best New Restaurant and recognized him as among the Best Chefs of the Year. Sau uses his classical yet chic style of cooking by incorporating local ingredients. He is the Executive Chef of F1 Hotel Manila, a consultant for Bluewater Maribago properties and Cauayan Resort in El Nido, and the founder and owner of Food Garage that produces artisanal breads. Kyle is a young cooking prodigy. At the tender age of 11, he was the Philippines’ first grand winner of Junior MasterChef Philippine Edition. Now, 14 years old, his climb to the culinary world just keeps on soaring. 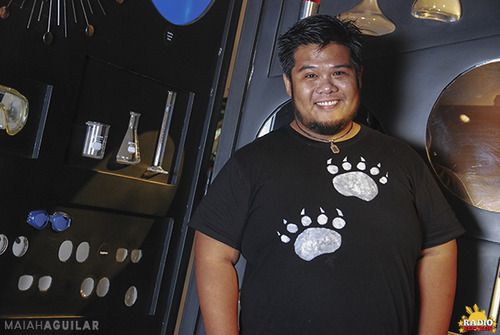 He owns and operates his own café inside The Mind Museum, at the Bonifacio Global City, aptly named Kyle’s Lab –a science themed café created by a kid for kids. He has also been a contributor for Junior Inquirer and other publications, sharing his recipes and creative cooking creations. He teaches cooking to kids at The Maya Kitchen and does cooking demos at various events, conventions and TV programs. Truly an inspiration and a shining example that age is not a limit to what one can strive for and achieve. Judy Lao is a baker and the owner for Ju.D’s Fruitcakes since 1975. She is the maker of the world’s first fruitcake cookie and coffee fruitcake made with Blue Mountain coffee from Australia which she specially selected. She has been a vegetarian since 1998. She is a volunteer / commissioner of Tzu-Chi Foundation, teaches vegetarian cooking on Taiwan DaaiTV and at Tzu-Chi Foundation Manila. She wrote two vegetarian cookbooks, “Western Vegetarian Cooking” in 2002 and “Children’s Vegetarian Feast” in 2005. 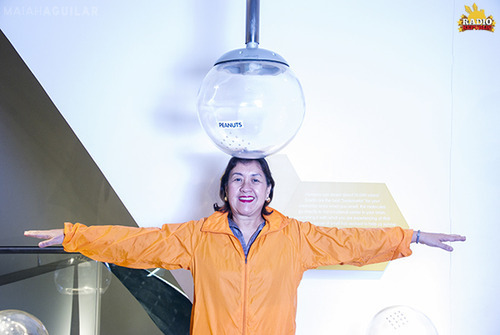 Nancy Reyes Lumen is the self-proclaimed ”Adobo Queen” because of her advocacy that Adobo will be the National Dish “because it is the favorite dish of every Filipino.” She wishes for world gastronomy to recognize this as a Filipino dish. She is the co-author of bestselling books: “The Adobo Book and World Gourmand Winner for the Philippines” and “Make Good Money with Malunggay”. She is a freelance multimedia cooking show host. Catch their dishes at Future Feast this Saturday, and check back here at The Apocalypse Project for their dishes and recipes! Thanks to our collaborator, Radio Republic, for the beautiful photos!